In 2009, Focus on the Family produced the TrueU: Does God Exist DVD set with Dr. Stephen C. Meyer of the Discovery Institute. In this first series of ten lectures, Dr. Meyer examined the abundant evidence in nature for the existence of God. In this second series of lectures, Dr. Meyer examines the claims of the Bible to be the revelation of the God, whose existence is clearly revealed in nature. For the last two hundred years, the Bible has come under intense criticism from those who have adopted a naturalistic worldview. The criticisms that have been made have filtered down to the popular level in magazine articles, books, and movies. Many today assume the Bible has little to no relation to real history and that it is likely a collection of myths and fairy-tales. Sadly, such critical views of Scripture are even found in seminaries where future ministers are trained. Dr. Meyer’s years of classroom experience enable him to communicate in a clear and understandable manner about sometimes complex issues. Dr. Meyer patiently explores each critical argument, answers student questions, and provides a rational response. An abundance of visual aids and charts helps to clarify his lectures. 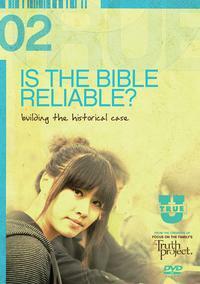 Highly recommended for high school and college students who are encountering arguments against the Bible’s reliability. A Leader’s Guide and Discussion Guide are also available.